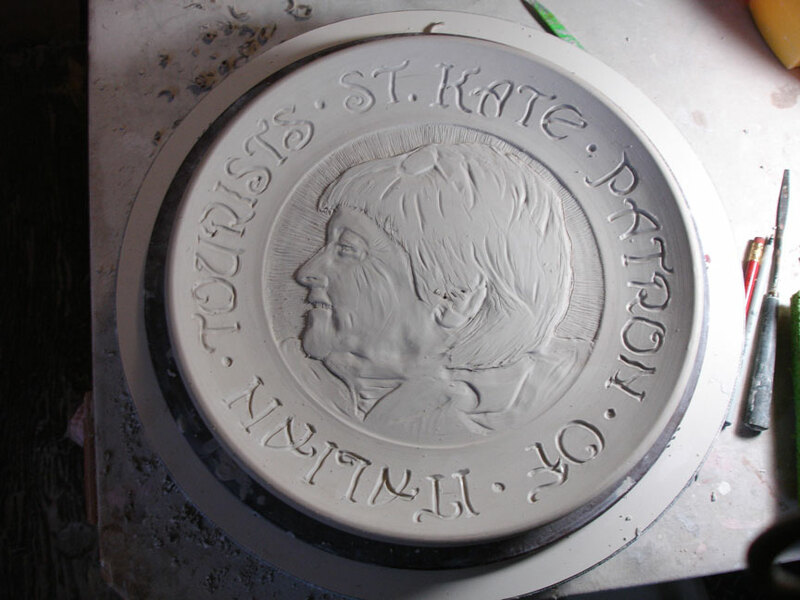 Ever since my wife, son and I visited Italy in 2007, I wanted to do something for my good potter friend and tour guide, Kate Morgan. About a month ago, I decided to get four commemorative gift pieces out of the way. They have been on my mind for the last few years. 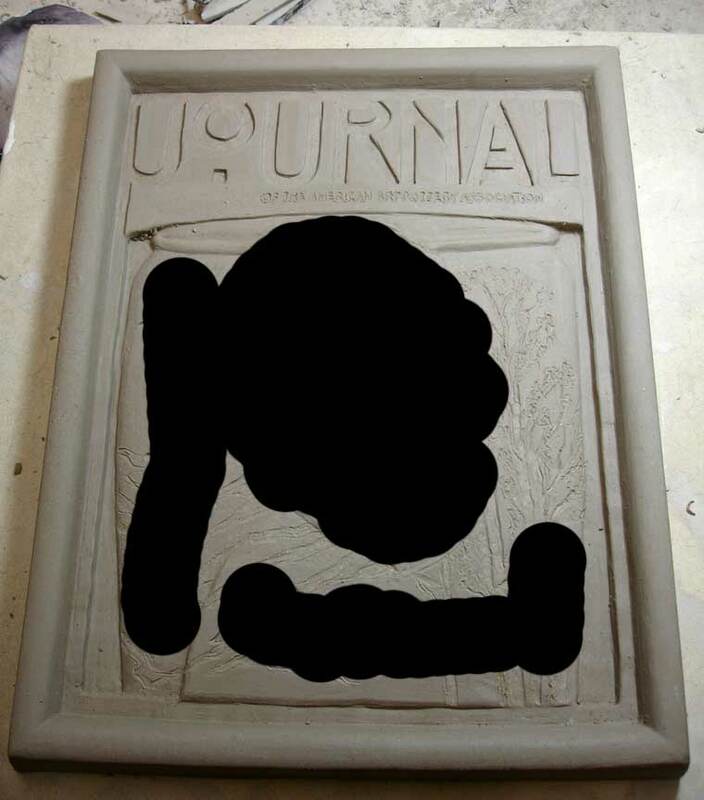 So, I threw a porcelain plate and carved the image on it and titled the piece on the front. I glazed it with my Jade glaze and it turned out great. I did intend to gold luster the outside perimeter of the plate so it looked like Kate had a golden Renaissance-like halo about her. "Nope" I said. I just boxed it and sent it. I didn't want to screw it up since I had never used low-fire lusters before. Here is another one, but I can't show you the entire piece since it is a surprise. I fired up one load recently and I will show you results throughout this update. 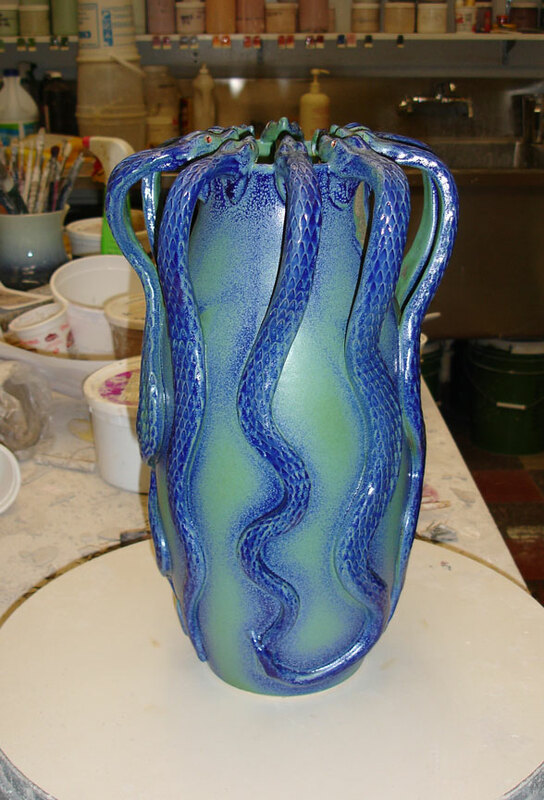 This piece came out of the kiln a few months ago and it had a glaze problem that you can see on the top right under the snake's mouth. 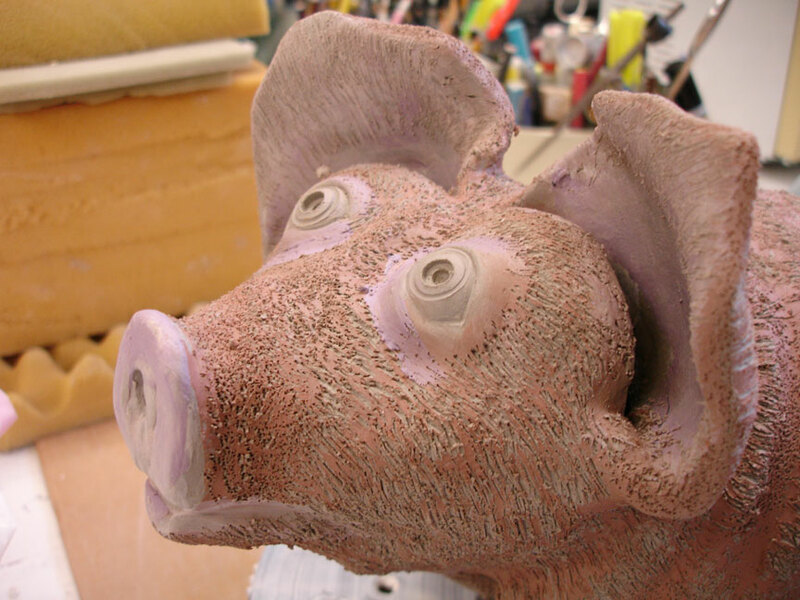 The glaze "crawled," which means that the glaze pulls away from the clay surface and leaves bare clay in spots. Reglaze time. I reglazed it with the current variation of my "Jewel" glaze. Click here if you want to see my jewel glaze up close in a previous version. It is half way down the page. This glaze is very intriguing and I am working on variations- looking for something that is as good as I can get it. 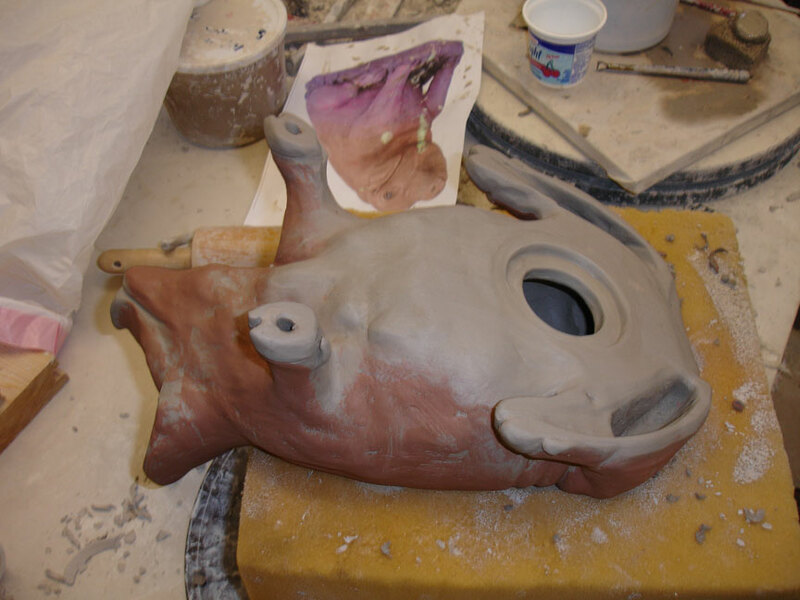 Here is what it looks like over a previously green glazed pot. It is very thick and luscious. I thought I would make another "Black Hole Bowl." The first one is pictured on this update. The one pictured below already has layers of star systems on it and it had yet to be bisqued. 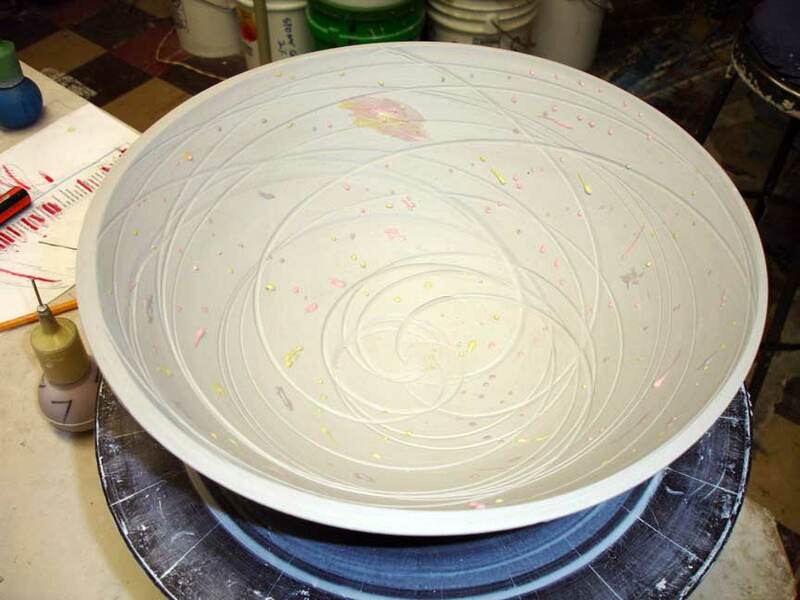 It will get three or four layers of glaze and planets on it before it is finished. 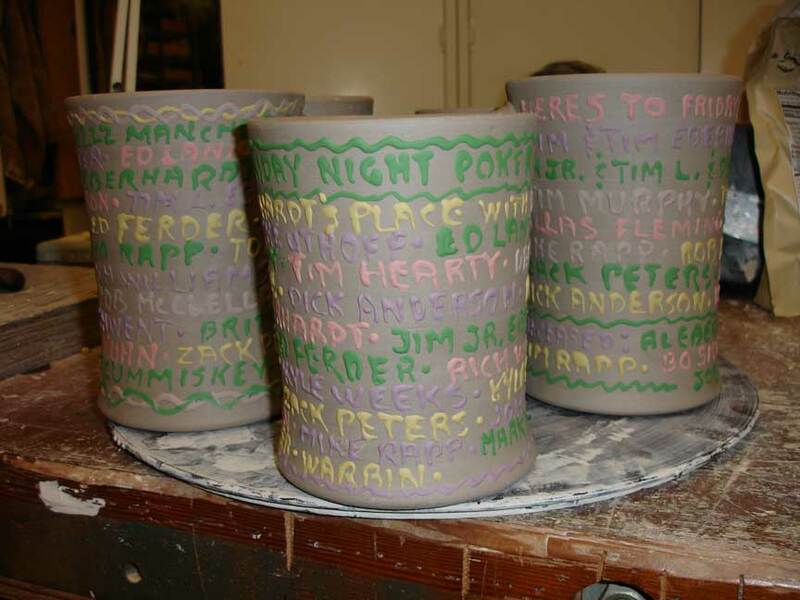 I also decided to make some beer mugs for the guys to use at our bimonthly poker games. "Hmmmmm, I wonder how I should decorate 'em?" Why not put everyone's names on them? This little device that my good friend, Brad Lum, made me is a life saver when you have to decorate the outside of damp pots and can't afford to actually touch the pot for fear of disturbing the decoration. Many thanks, Brad. 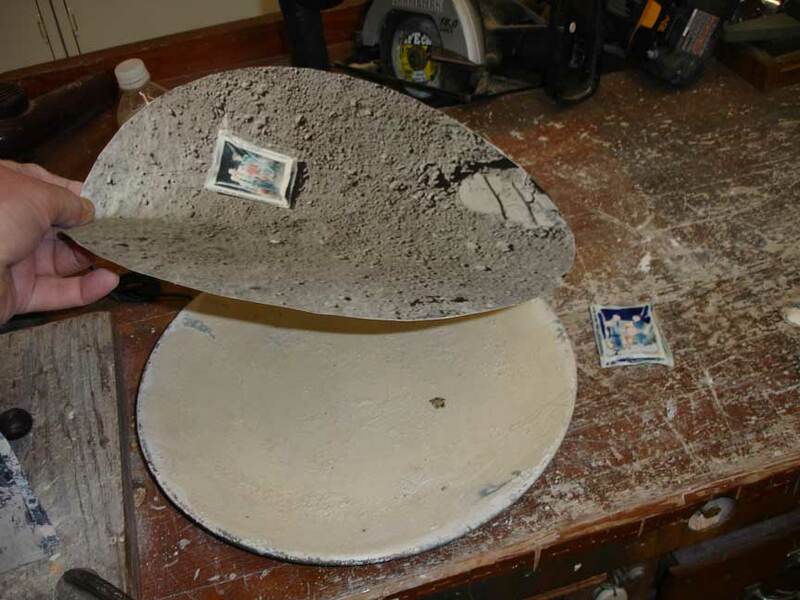 Another piece that has been hanging around the studio and causing problems is my Charlie Duke Plate". Read the story of why I made this plate on this previous link. The plate below the photograph in my hand has been glazed and fired twice previous. 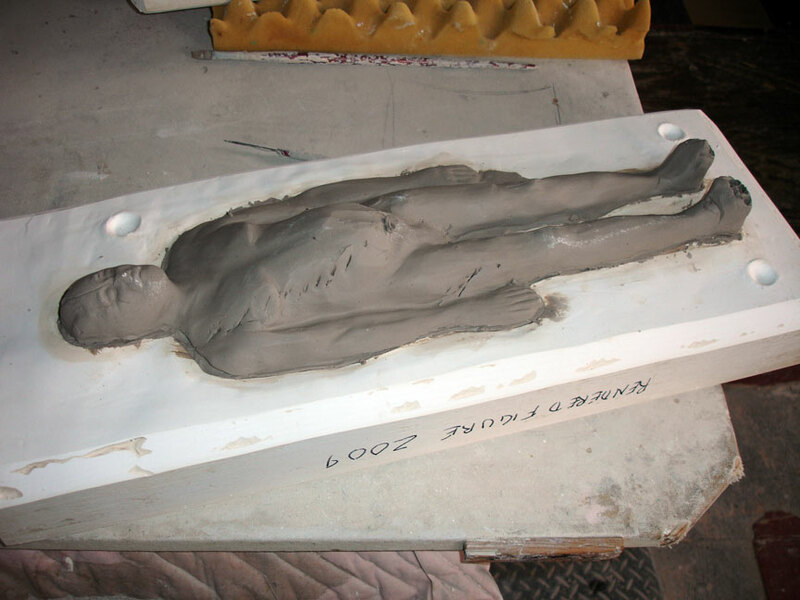 I am trying to get a reasonable replica of the photo made in clay. I had to grind off the two previous attempts at "replicating" the moon's surface. The little photo on the right is all I saved and it will get used again and again until I hit the mark. 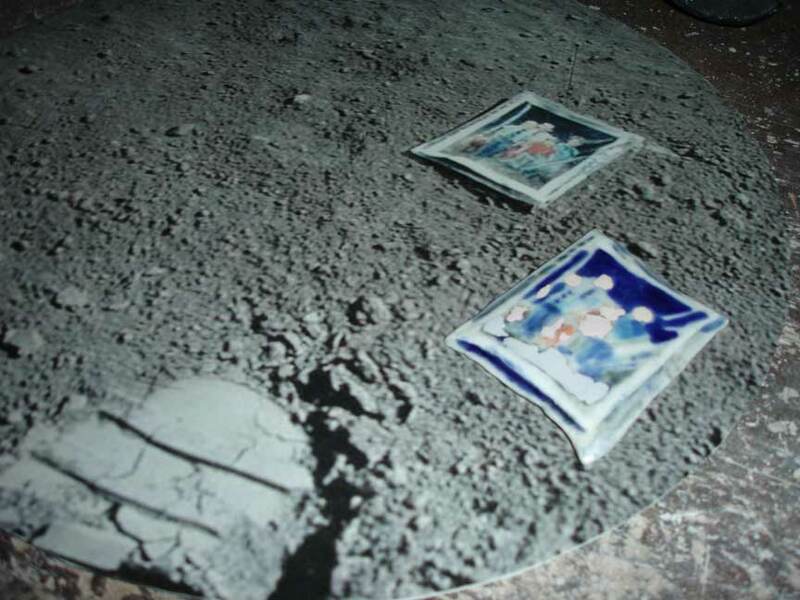 This is a picture of the ceramic photo sitting on a print of the actual photo Charlie Duke left on the moon. 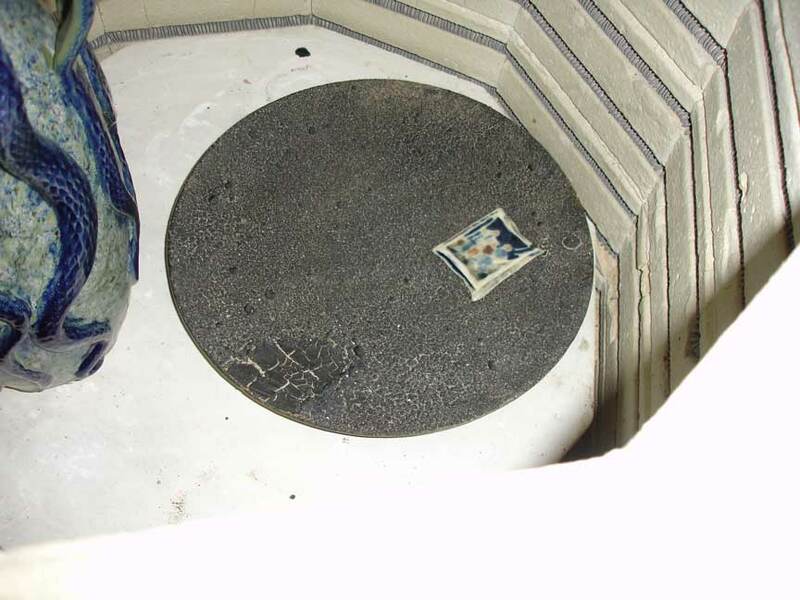 The little "clouds" on the ceramic one are glaze. 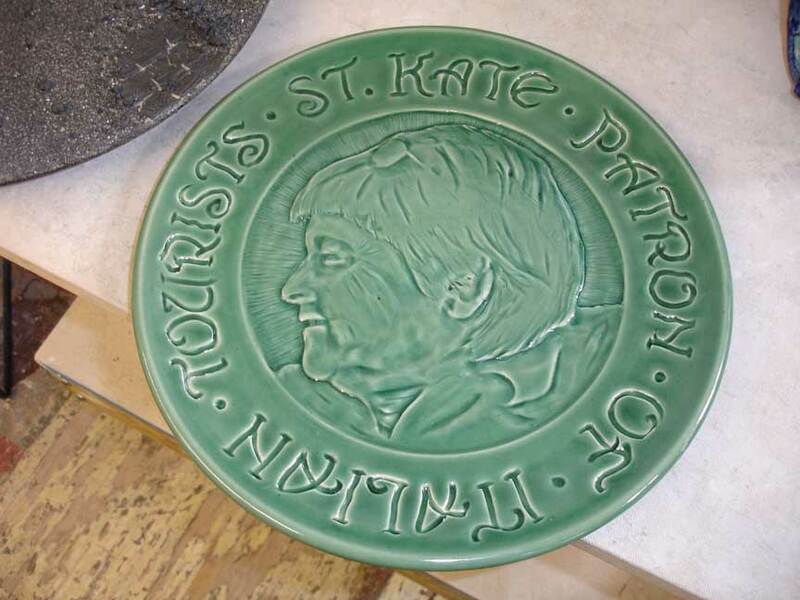 I keep refining the photo every time it goes in the kiln. 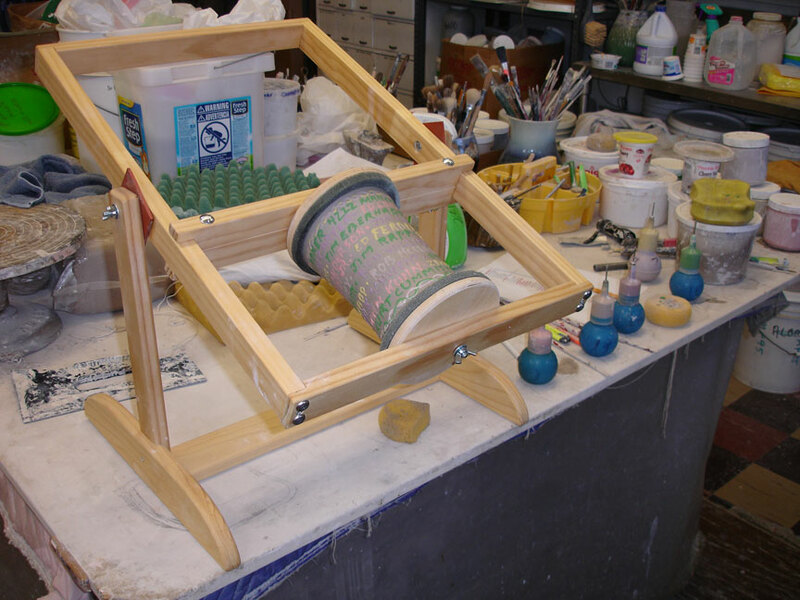 Here it goes in the kiln again! And once again, I have a failure on my hands. The surface went toooo dark and I had some crawling problems. I'll get it right the next time. 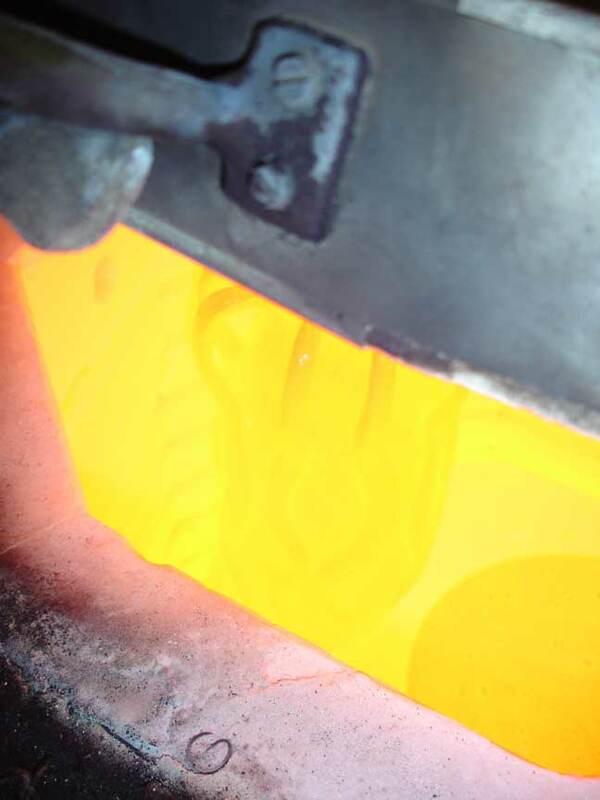 I fired another of the venom pots up and took a peek in the kiln at 2100 degrees. I currently have three Venom pots "in stock". They are all 14" and one is better than the next. 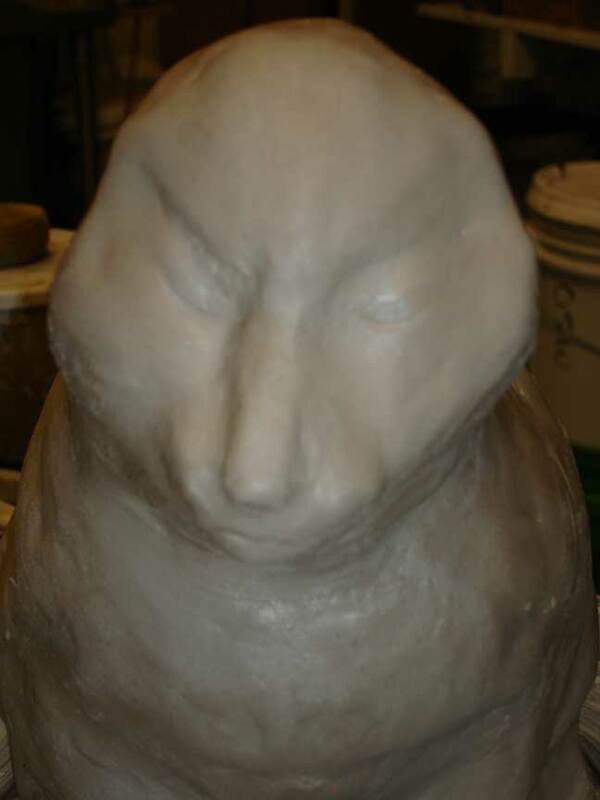 If you follow my updates, you have seen a number of figures I have been making of late. I started another. So things are just going along as usual and then a friend calls me with a request for a 50th anniversary present. Will I make a bank for the couple? 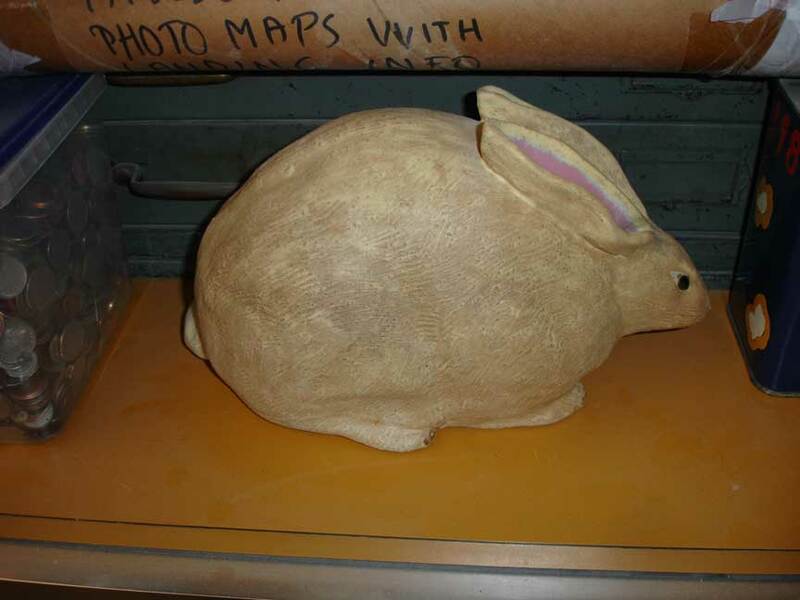 Heretofore, I have only made three rabbit banks, two of which are gone and one I have. Now I generally don't make things to order, but in this case they said the 50th was a month away and they are friends I feel I owe to some degree, so I said "OK". In fact, I said I would make two and they could choose. So, I figured "Piggy Banks! Why not?" 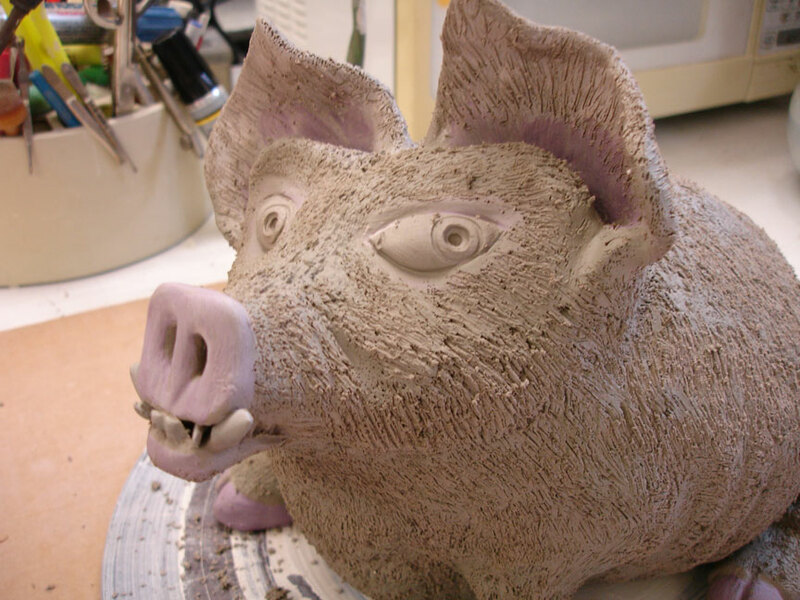 and then I was watching the State of the Union address and thought I would make a Republican and Democratic piggie that would capture the look and feel of the House chamber during the speech. You decide which is which. They all have copper doors on the bottom to get to your stash of coins. They are inscribed on the bottom, "Save your money, invest in my piggies!!!" 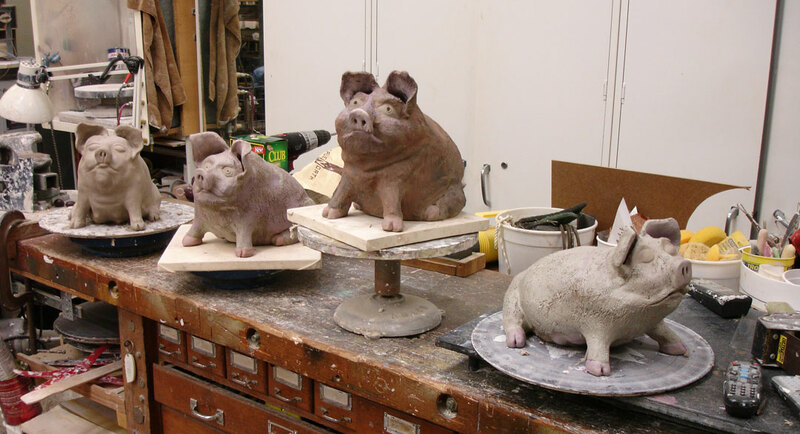 I glazed two of the piggies up for the anniversary folks and decided to make them dirty little pigs. One of them had a problem, but this little fellow is just fine. He looks like he thinks he might be robbed at any moment. 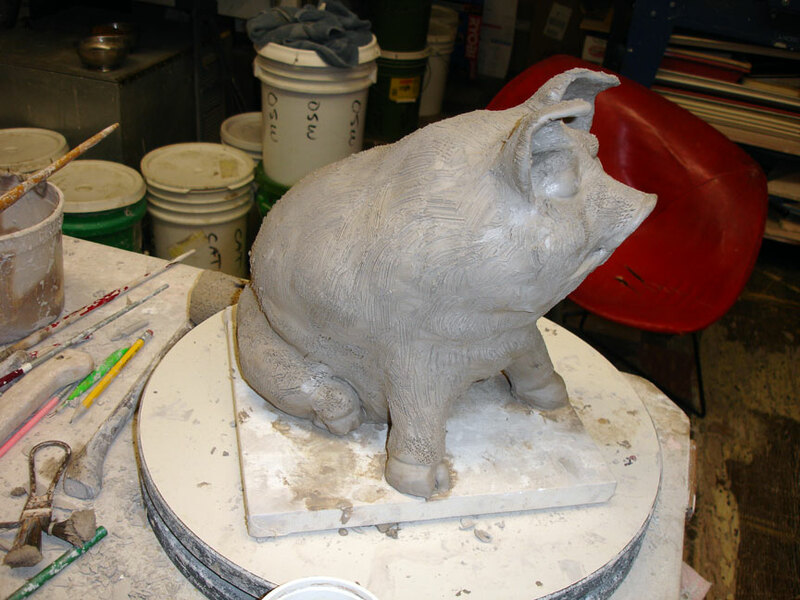 So all the time I am making these pigs, my cat, Pinkie" is standing around the studio and teasing me. It is like he is saying, "What about me?" 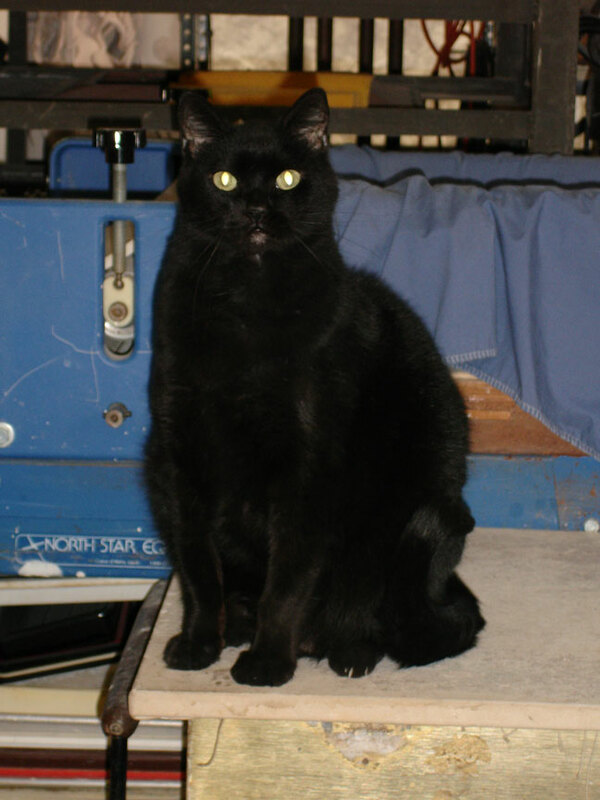 I frequently take pics of him and think I will make a sculpture of him. 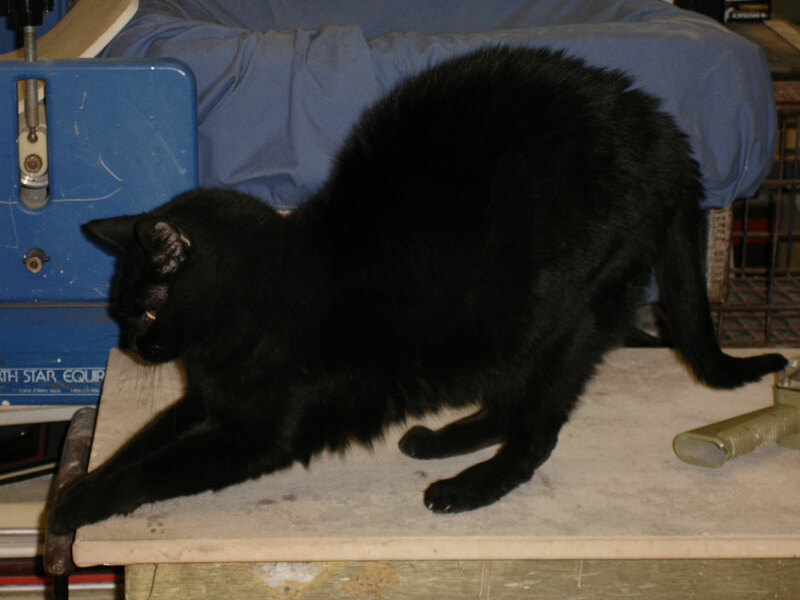 I would love to do this scratching pose, but it would be tough. What about a simple standing Egyptian pose? Ya, why not? So I start. 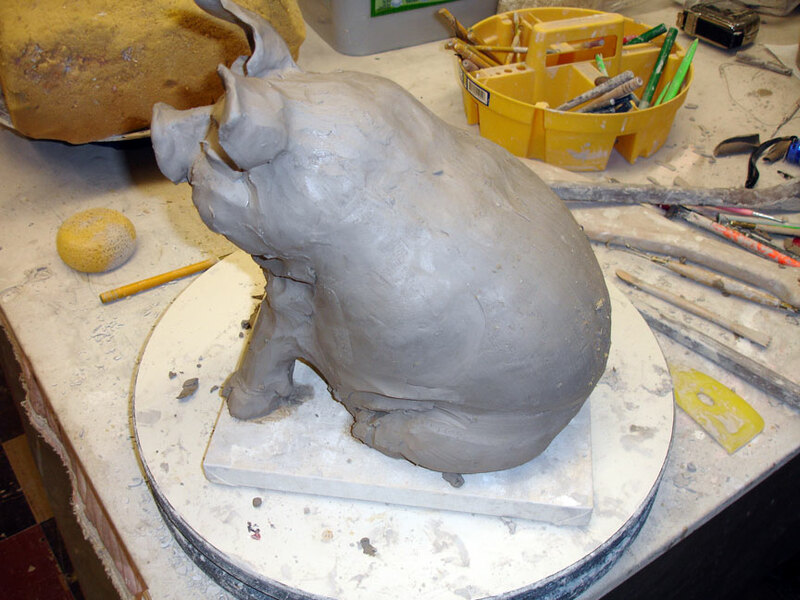 You would be surprised- I certainly am- how difficult it is to model a figure in 3D. 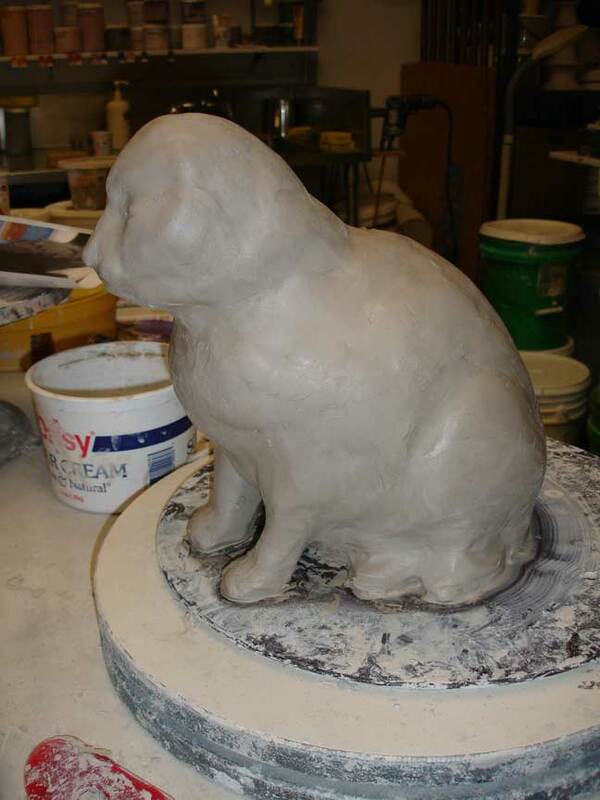 But I just keep pushing clay around until I get something I like. Here is how it currently looks. Long way to go. But maybe not. Generally what happens is that all of a sudden, the piece takes on life and it is all down hill from there.